New York takes a tough stance on drug possession and prosecutes these charges aggressively. 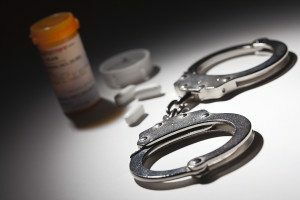 Many drug felonies are subject to much higher restitution than the standard fines, and in many cases even a tiny amount of a drug is sufficient to trigger serious criminal charges. 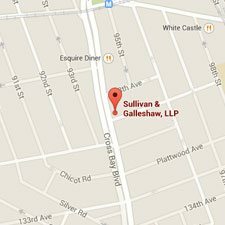 If you’ve been arrested for heroin, LSD, marijuana, crack, cocaine, ketamine, ecstasy, or other controlled substances, the New York drug possession lawyers of Sullivan & Galleshaw can help. 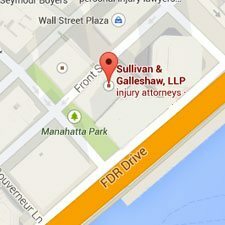 Our skilled legal team has over 30 years of experience handling misdemeanor and felony cases throughout the New York City metropolitan area, and we offer free consultations for new clients. To schedule your free case evaluation, call our law offices at (800) 730-0135. Your information will always be kept confidential. Before we start examining drug possession laws and penalties, which are found at NY Penal Law §220, it’s important to point out that New York excludes marijuana from its list of controlled substances. Marijuana possession has its own unique set of laws, which we will discuss in depth later on. NY Penal Law §220 relates to other narcotics, such as heroin, methamphetamine, LSD, crack, and cocaine. Criminal possession of a controlled substance is broken down into six levels, which skip directly from seventh to fifth degree. There is no such thing as criminal possession of a controlled substance in the sixth degree under New York’s current laws. It’s important to have a good understanding of the exact charges against you so that you are prepared when your court date arrives. Knowing and unlawful possession of any drug besides marijuana. Intent to sell the drug in possession. Any mixture containing concentrated cannabis (i.e. “wax” or butane hash oil). Any mixture containing GHB (gamma hydroxybutyric acid). 50 mg or more of phencyclidine. 500 mg or more of cocaine. Over 1,000 mg of ketamine. Any amount of ketamine, with a previous ketamine conviction. Any narcotics mixture weighing at least 1/8 oz. Any mixture, weighing at least ½ oz, containing methamphetamine. Any mixture, weighing at least 1 oz, containing concentrated cannabis. Any mixture, weighing at least 200 g, containing GHB. 1 g of more of any stimulant. 1 mg or more of LSD. 25 mg or more of other non-LSD hallucinogens (e.g. psilocybin mushrooms). 2 lbs or more of a depressant (10 ounces or more of a dangerous depressant). 360 mg or more of methadone. 4,000 mg or more of ketamine. Narcotics possession with intent to sell. Intent to sell hallucinogens or stimulants, with a previous drug conviction. Any mixture, weighing at least 1/8 oz, containing methamphetamine. Any narcotics mixture weighing at least ½ oz. 5 g of more of a stimulant or hallucinogen. 5 mg or more of LSD. 1,250 mg or more of phencyclidine. Any narcotics mixture weighing at least 4 oz. Any mixture, weighing at least 2 oz, containing methamphetamine. 10 g or more of a stimulant. 25 mg or more of LSD. 625 mg or more of other hallucinogens. 2,880 mg or more of methadone. Any narcotics mixture weighing at least 8 oz. 5,760 mg or more of methadone. A person in the car has a prescription for the drug. A person in the car is concealing the drugs on his or her person. Possession and use (i.e. burning) in a public place, such as a school, subway station, or hotel lobby. More than 8 oz (½ lb). More than 16 oz (1 lb). More than 10 lb (160 oz). The above offenses refer specifically to criminal possession of marijuana. Personal possession of marijuana in quantities smaller than 25 g is considered unlawful possession, which is not considered a crime but a violation. Unlawful possession of marijuana will not result in jail time, but you can still be fined with $100 or more. In November of 2014, the NYPD revised its policies to cut down on arrests for possession in small amounts under 25 g. However, remember that smoking marijuana in a public place is still a Class B Misdemeanor. Once again, these sentences are the maximums. Our attorneys may be able to reduce your charges or have the charges against you completely dismissed. 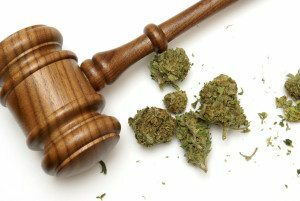 If you’ve been charged with narcotics or marijuana possession, you need to seek legal representation immediately. 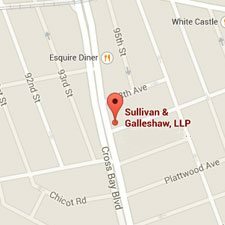 To set up a free and private consultation with our experienced criminal defense attorneys, call Sullivan & Galleshaw at (800) 730-0135 today.